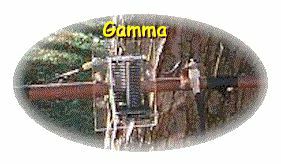 I promised Jack Stone, Publisher of antenneX, if the short loop worked as well as my phased verticals on forty meters, I would write an article. I didn't promise a GOOD article because I am no writer, but it is a GOOD antenna. It does perform as well as my phased verticals. I am satisfied the effort in building this test model was worthwhile. Here is an attempt to tell you about my experiences, including mistakes. It was challenging and fun. Perhaps this will spur you into taking on the endeavor of building a loop. Time flew, and it certainly renewed my interest in Ham Radio. There is nothing like a new antenna for a conversation piece. You get extra bragging rights when you build it yourself. (My friends hate me!) If you do bite the bullet and build one, it is hoped you will save frustration, time, and money. If you don't build it you will have a good time thinking about what a nut this guy must be! So, read on! I clicked on an antenneX link and read some of the free stuff. I wanted to know more about "shortened loops," and bought The Loop Book found in the Shopping Shack on this web site. After reading, or rather, "Screening," the book, the decision was made to build a short loop. I read about the "Special Capacitor" requirementthe need for welded construction, and of course, the capacitor has to be controlled remotely. I did a little research and found that suitable vacuum capacitors cost a lot of money. I wasn't going to invest any more than I had to in order to see how well one of these Shortened Loops worked. A stepper motor and control would cost a hundred bucks plus the cost of the capacitor. ("A steel shaft in the capacitor inserts too much loss!!!!") Hmmmm! I am a creature of habit. I only work in a small portion of each band most of the time. For an eXperimental antenna, I could use a trimmer capacitor. I don't need to go from one end of the band to the other. Servo, and/or stepper motors and remote controls are not my cup of tea. The capacitor has to withstand high voltage and current, be efficient, and adjustable. I ended up building a capacitor out of a one inch piece of copper tubing sliding over a piece of half inch copper tubing that had an insulator separating the tube into two pieces. The separator is made of acrylic tubing inserted a little off center. The spacing for the two tubes was facilitated by making two acrylic washers, or bushings, to fit in the end of the one inch pipe with half inch holes so it would slide over the smaller tubing. Voila! A concentric or trombone capacitor! I had a drill press, the plastics store is three miles away, Home Depot is four miles away, and I had a few bucks in my pocket. I bought the tubing (one inch copper tubing costs a little over a dollar a foot), took my treasure home and the fun began. But, the hole saws on hand were not suitable. Three hole saws were purchased, one was a mistake, (a little over eleven dollars wasted!) and the air soon was filled with the aroma of burning plasticcough, cough! Acrylic melts! Slow and easy are the watchwords. Now how does one secure three eighths of an inch acrylic washer in copper tubing? Drill some holes through the edge of the tubing and into the washer which is epoxied in place and screw in some little nylon screws, also imbedded with a little epoxy. One must remember to have everything working before you glue and screw. I found some acrylic rod that fits into the smaller copper tubing. I pushed one piece of the half inch tubing over the rod and then pushed in the other piece, leaving about a half inch of space in the middle. I used some epoxy on the rod before assembling the "inner plate." Then, for good measure, a center punch was used to peen the tubing in a few places to make sure that it was going to stay together. Glue is good, but mechanical means is better. I found a formula for capacitance somewhere and estimated I would have a fifty pF capacitor. It turned out to be forty-four picofarads. Which means that only twenty-two of it is useable, because it is used as a split stator capacitor. No wipers, no contact resistance. Efficient air dielectric with quarter inch spacing. Ain't dat sumpin! A little shy of C for my design. My design? I took the forty foot job (forty feet in circumference, a little over sixteen feet in diameter) from The Loop Book. I thought I had created something when I built that capacitor. Well, don't you know, the very next issue of antenneX had a trombone capacitor in it!!!! However, I had an air dielectric, which is nicer, neater and more efficient than plastic tapebut, on the other hand, the guy didn't have to have a drill press and access to acrylic, nylon screws, epoxy, etc. If I remember properly my capacitor was about forty-five inches long. So you get approximately one pF an inch for one inch tubing over half inch tubing. You had better do your own numbers though if you are going to take on one of these things because I am not an engineer. Enough of the capacitor. So get out the butane torch, flux, emery cloth, tubing cutter, shine and clean tools, for three quarter inch tubingeight pieces of three quarter inch copper tubing (I used thin wall...another mistake.) I Should have used the thick wall stuff and one inch tubing. This thing looks and feels flimsy when you try to pick it up and get it in the air. Supports could be made from wood and acrylic insulators, but why go to the trouble if it will hang together long enough for testing??? No more mechanical work than necessary is my motto. Besides the elbows I had to get a couple of tees, some reducers from three quarter to half inch tubing. Why the reducers? To mount the capacitor on top and, parallel to the topmost member of the loop. Also, the top member of the three quarter inch tubing has to be broken and spaced in the center with another piece of acrylic rod. I had some plastic milk crates which served as supports for the loop while it was under construction and also testing after it was built. Now, here was the easy part, a plumbing special. Be sure to get everything clean and shiny. Where the tubing goes into the elbow, do a good job on the outside of the tubing and the inside of the elbow. Apply a little, but uniform coating of flux on both members. Apply heat to the elbow. I was surprised to see how well it sucked up the solder. I had done a little plumbing before and it was messy. But by heating up the outside member it sure pulls in the solder and it makes a neat job. A judicious wipe (careful) while the solder is molten will get rid of any pile-up. Holy Buckets! Here is a forty foot octagonal of copper pipe with a capacitor in the middle. It looks real different out in the backyard. My cat came out to supervise on good days. He would sit up on a milk crate and sneer and make snide meows. Now how do we feed this thing? The Loop Book suggested three ways. Well, before we match an antenna, we have to make it resonant at the desired frequency. I have built many antennas, dipoles, coaxial, bazooka, verticals, quads, rope Yagisso, I know all about this stuff. I got out my homebrew noise generator, took about ten turns around the bottom of the loop. I connected it, then took another ten turns and coupled it to my coaxial feedline. Then, went in the house and turned on the receiver to find the resonant frequency of the loop. I was measuring the resonant frequency of the coupling coils, the feedline, the response of the receiver, everything except the loop. Okay another tack! Got out my fancy DDS VFO with digital read out and my trusty Fluke digital MM with RF probe. I just about wore out the knobs on the VFO. I was getting peaks, but none of them were where they should fall. One consistent QRG (I am a CW operator, ahem!) was 6960. Moving the capacitor didn't change the frequency, but the peak was broad. Maybe the loop was too long. I took out two members from opposite sides and sawed out a foot, then two feet. No change. Maybe, I need a dip meter. Couldn't find one locally. Build it...? Yeah, bought some banana plugs for the coils, searched and found suitable capacitor, knob, dial, box. Then while surfing The Internet one evening, I ran across the homepage of a Ham Distributor out in the Midwest. Sent him an E-Mail and whatdya know, they had one. I Bought a dip meter. While awaiting the delivery of the dip meter, the Publisher of antenneX sent me an E-Mail telling me that I had received a compliment on my Over/Under Quad article published in the November 1997 issue. I sent him a reply of thanks and told him the blankety-blank loop was driving me up the wall because I could not find its resonant frequency. A few hours later, Jack sent me an E-Mail saying that the old maestro of loops, K5CNF, Richard Morrow; said I wouldn't find it by the methods I was using. I would need to put in a matching system and go for lowest VSWR. Now that really blew my mind! So the Dip Meter arrived. Hot Dawg! I decided to use the tapped capacitor method of feed as outlined in The Loop Book. I went down to the hardware store, bought some quarter inch copper tubing, wrapped it in plastic tape, flattened one end, drilled a hole in it, then drilled a hole in the loop, secured that end with a self tapper. After I found the proper place for the tap, the tubing could be soldered to the loophow clever! I taped the quarter inch stuff to the loop and mounted a coaxial connector on the loop by soldering on a strap. I connected the other end of the quarter inch tubing to the center of the connector with a piece of heavy flexible wire inserted in the tubing, and then crimped and soldered. The tubing came in a twenty-one foot length. So, how far out from the connector do I go? I figured, it would be better to start long than to be short and have to splice. I used the whole thing! After drilling numerous holes, cutting, flattening and boring holes in the tubing, I was within two feet of the connector and no pay-dirt. Once or twice I would see a small drop in VSWR. But moving the tap either way, or spacing the matching section away or closer to the loop did not make the desired effect! I bought an MFJ VSWR Analyzertwo hundred bucks !but, great piece of equipment. Now I had the whole mess of test equipment in one box with a VSWR Meter and a Resistance Meter side by side, a signal generator with a digital readout. Alas, it told me nothing new. The next trial was going to be by the pick-up loop method. One loop shown in The Loop Book had a pick-up loop one-fifth the size of the main loop. Okay! I need an eight foot loop to place inside my forty-footer. I had the tubing cut, elbows in place and ready to solder when a light came on. How about a gamma match?! Wow! Found an old ARC-5 Transmitter Capacitor. It was nicely made with good wide spacing. I measured the capacitance with my new capacitance meter. It was 144 pF max. I mounted it on a piece of acrylic sheet, fastened the sheet to the loop with a couple of straps, recovered the remains of the quarter inch tubing and went to work. BY GOLLY it worked. A few taps up and down, pulling the small tubing away from the larger one, shoving it back and forth, and adjusted for resonance at the desired frequency with my highly efficient, and beautiful homebrew capacitor. Inside of five minutes after installation, I had an honest-to-heavens one-to-one match, with 50 ohms indicating on my shiny new analyzer at 7020 kHz! I pulled off the analyzer, connected the feedline, ran in the house, plugged the analyzer into the other end of the feedline and whoopy-de-do!one to one and 50 ohms. A little "smidgin" over one to one, but it wasn't to the first calibration point. We won't quibble over One point, Oh, One to One! Next steps: plug in to the coaxial switch. The switch facilitates connecting to an eighty meter dipole and a phased vertical array for forty. Then connect the coaxial switch to my Icom 765. A quick check to where I set the lowest VSWR-7020 KHZ. Sure enough the ICOM'S SWR meter agreed. I hear signals. Lots of signals. Spent the next couple of hours making comparisons between received signal strength on the loop and my phased verticalsaiming the verticals at the received station. The loop was two S units down most of the time relative to the verticals. On occasion the loop was as good. Most of the time the verticals were better. But, the loop was only supported by plastic milk crates, laying down horizontally to the earth and just one foot above it! While making a VSWR check at reduced power (eight watts) I sent three Vee's de W4KSY. I got a call from K1LGQ. Dennis, in Nashua, New Hampshire; gave me a 599 report before he knew I was on a loop and aching for a decent report. I must admit that I went to full 100 watts when I responded to his call. Never-the-less, I was elated. I made several more contacts and received good reports compared with the received signals. W9OVY, Wally near Charleston, S. C., was most helpful in assisting with tests very early in the game. Somewhere along this adventure I had decided the tuning capacitor was coupling to the top member of the loop, since it was only a few parallel inches away. I cut it out! Later I replaced it with an acrylic rod. This will be a great insulator to use to support the antenna! Ho! Next day I was out in the backyard with slingshot, line, pulley, etc., etc. Got a line , with pulley attached, over a limb and hauled the loop up into a vertical position. No mean feat, single-handed. That thing sure is wobbly with no extra support. ( Note to me: NEXT TIME: USE ONE INCH TUBING FOR A FORTY FOOT LOOP, or heaven-forbid, use insulated wooden supports. ) Got out my trusty Analyzer, retuned to one-to-one quickly, then went inside and had a ball. Numerous contacts were made with good reports. Summary: In most cases the loop was as good as, or superior to the phased verticals at distances out to about 800 to 1000 miles. Then the verticals seemed to take over. There were times when, even with long haul DX, the loop was better by an S Unit or two. Remember, I was aiming my phased verticals. The pattern is broad, but worth about an S Unit for locals and sometimes three S Units for DX. The loop was fixed north and south. For the past few days November 18th to November 22 there has been deep QSB, even in daylight hours. This afternoon a South African Station at 7010 was S5 on my phased verticals and S5 on the loop. The QSB seemed slightly more prevalent on the loop then on the verticals. Background noise was about the same. Some QRM from US Stations west of me, and in the null of the phased array, was less on the array and more on the loop, of course. Figures! I hang around 7020 kHz with keyboard, or keyer, and LOOP. Demonstrations gladly given. Send mail to webmaster@antennex.com with questions or comments about this web site.